Last year I was approached by the lovely Kate Judith from USQ’s Tertiary Preparation Program to be on the reference group for their ‘Active Success at Uni’ open textbook project. Of course I agreed and now the time has come for me to provide feedback on their finished initiative. In the first instance I took a quick squiz around the site (it’s clean, sharp and smooth) then quickly realised that I would end up down a rabbit hole if I didn’t follow some kind of map. As it turns out ‘Googling it’ was good advice. My search for ‘framework for evaluation online courses’ lead me quickly to Debbie Morrison’s blog, ‘Online Learning Insights’ and her post ‘How ‘Good’ is Your Online Course? Five Steps to Assess Course Quality‘ (see it in the blogs/articles section of this website). It’s a great place to start. But of course, there is more than one way to peel a carrot, and just as each of our enabling programs look and work differently because they’ve responded to their environments, so too, the evaluation frameworks we use to assess them (and initiatives within them) should be sympathetic to the context. ‘Effectively evaluating online learning programs‘ by John Sener (2006) offers some wise advice about the purpose of evaluations (evaluators are ‘meaning makers’ not judges) and about using tried and tested frameworks designed originally for face-to-face course evaluations. P.S. The USQ team evaluated one of our online courses last year (Academic Survival Skills Online) using a comprehensive Criteria Standards Checklist (thank you very much!). If any of you have used successfully a particular framework to evaluate an online (or face-to-face) course that you’d like to share, please let us know in the comments section. The English Language and Foundation Studies Centre at the University of Newcastle is committed to opening access to higher education for all students, including regional and remote students and students with carer obligations. Part of that commitment is a recognition of the importance of online education for some ‘non-traditional’ students. 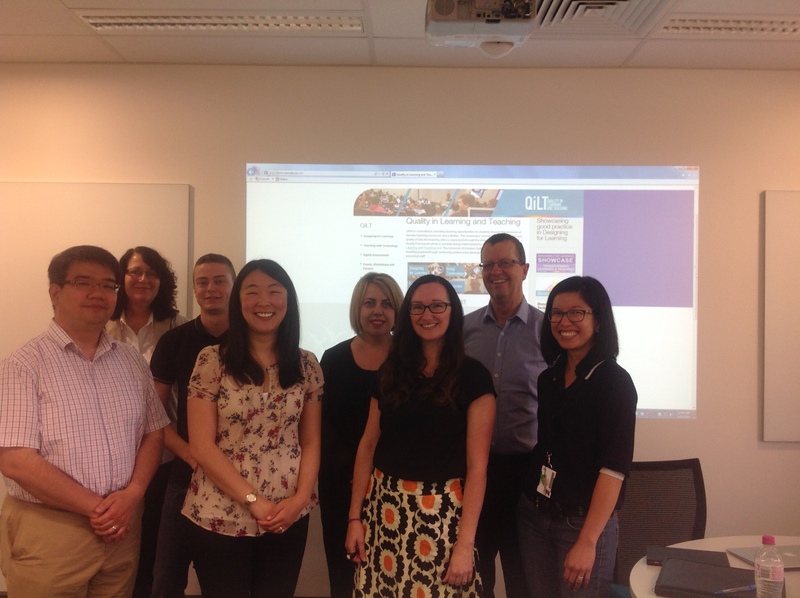 To grow the Centre’s understanding of online education across the enabling and broader higher education sectors, the Centre’s Blended and Online Learning Team (Evonne and Liz) had the opportunity to travel to UWS, MQ, USQ, UNE and CQUniversity in late 2014 to talk to colleagues working in online education and begin forming knowledge-sharing networks. 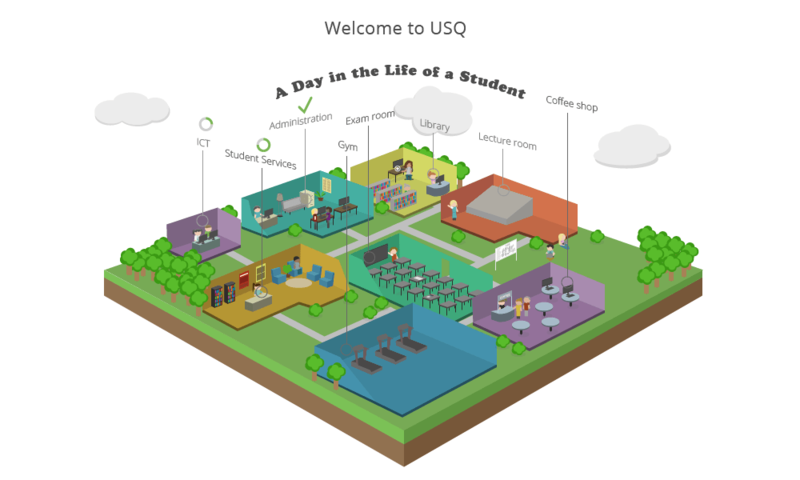 This post will take a quick look at online enabling education at UoN, then move on to present four points of discussion based on what we learned about developing online and blended courses and programs on our travels. While the Open Foundation is one of Australia’s oldest enabling programs, it has only been offered by distance since 2003 with its first offering as a fully online program in 2012. The paper-based distance program was re-designed utilising Higher Education Participation and Partnerships Program (HEPPP) funds, as part of a carefully considered full-year project involving multiple expertises and drawing on current online learning pedagogies and educational design principles. It consists of seven discipline-based courses (students choose two) delivered fully online via the University’s LMS, Blackboard. An integral part of the re-design of Open Foundation by Distance was the development of an online week-long transition-in program called Week Zero which has since received both Vice-Chancellor’s and Office for Learning and Teaching Citations for Outstanding Contributions to Student Learning. As well as delivering the enabling programs, Open Foundation, Newstep and Yapug, the Centre administers the University’s suite of short Bridging courses called UoNPrep. In 2013, the first of these F2F courses was re-developed into a fully online offering. Academic Survival Skills Online was developed by a small, collaborative multi-expertise team and funded (again) by HEPPP. It runs for two moderated 3-week periods a year and is open for students to dip in and out of at all other times of the year. The following four discussion points form part of the recommendations we presented to our Centre Director following our travels in 2014. We stress that while the points are reflective of our views at the moment, they are intended as discussion points only, not prescriptive or critical statements. When the multiple expertises of a team of academics, educational developers, technical experts and others can be drawn on, innovation, quality and sound pedagogy are likely to result (Hixon, 2008; O’Reilly, 2004; Swan, Scott, Bogle & Matthews, 2014). For blended and/or online course development activities to be successful, academic staff in the roles of content experts or specialists should be engaged and willing participants in the process. Strong leadership at all levels, strategic professional development which includes both online and face-to-face resources and activities, and enthusiastic ‘peak performers’ should all contribute to a supported environment in which to carry out (re)developments. As part of successful professional development, exemplars of innovative practice in online and blended learning and teaching should be showcased via special interest groups, symposia, conferences, etc. It has been identified through a literature review and anecdotal evidence that current theory in online pedagogy may not suit online enabling students. It is suggested here that work take place in developing an online enabling pedagogy drawing on an eclectic mix of behaviourist and constructivist principles (Irwin & Goode, 2014) as well as evidence from evaluations of current online programs and courses. We want this to be a lively space for discussion, so please feel free to add your comments regarding our four points of discussion or to add your own! If the comment box does not appear below, click on the title of the post above and you should get there. Hixon, E. (2007). Working as a team: Collaborative online course development. Paper presented at the 23rd Annual Conference on Distance Teaching & Learning, 8–10 August 2007, Madison, Wisconsin. Irwin, E. & Goode, E. (2014) ‘Building Academic Survival Skills Online: A collaborative, team-based approach to online course design and production’. Peer-reviewed paper presented at Foundation and Bridging Educators New Zealand Conference, 4–5 December 2014, Tauranga, New Zealand. Swan, K., Scott, L.D., Bogle, L.R. & Matthews, D. B. (2014). A collaborative, design-based approach to improving an online program. Internet and Higher Education, 21, 74–81.